MANILA, Philippines — The hospitalization of lawyer Jessica Lucila “Gigi” Reyes for a panic attack she suffered over fears of being detained with suspected communist rebels proves the government’s double standards in dealing with prisoners, rights activists and lawyers said Friday. The Samahan ng mga Ex-Detainees Laban sa Detensyon at Aresto, which advocates political prisoners’ rights, noted that there are around 50 ailing detainees, a number of them elderly, who languish in jail without proper medical care, and that some have, in fact, died because of this. Among the most recent cases are the deaths of the daughter of Andrea Rosal, incarcerated although she was eight months pregnant when she was arrested, soon after she was born in May, Bilibid prisoner Allison Alcantara who was rushed to the Philippine General Hospital only after he went into a coma from which he did not recover in September last year, and Crisanto Fat who died of a heart attack in a Negros Occidental jail. Rosal, daughter of the late communist rebel spokesman Gregorio “Ka Roger” Rosal, was cleared of kidnapping with murder charges by the Pasic regional trial court but remains detained because of a pending murder charge before a court in Quezon province. Reyes, who is accused with her former boss, Senator Juan Ponce Enrile, of plunder and graft over the pork barrel scam, was admitted to the Taguig-Pateros Hospital late Tuesday night as she was being transferred to the female dormitory of the Bureau of Jail Management and Penology in Camp Bagong Diwa in Taguig City on orders of the Sandiganbayan. She has filed a motion for reconsideration of her commitment order, citing concerns over being locked up with nine alleged female rebels. “Whether true or imagined sickness, Gigi Reyes’ swift hospitalization without need of a court order is another showcase of the government’s soft spot for those accused of plunder,” SELDA spokesman Jigs Clamor said. He noted that it takes a month, on the average, for courts to process motions filed by political detainees to undergo medical examinations. On the other hand, Rosal’s lawyer Edre Olalia said Reyes appeared “out of touch with reality and seems delusional” and suggested it might do Enrile’s chief of staff good to actually know and talk to the political prisoners. Reyes was a known student activist when she studied at the University of the Philippines. “If she sees her own demons in the company of principled, rational and dignified political prisoners she pejoratively labels as NPAs (New People’s Army) all, then she should really seek some professional help. They should not be the ones in jail in the first place,” Olalia, who is also secretary general of the National Union of People’s Lawyers, said. “She might be jolted and humbled if she eventually discovers that these people she disdains and looks down at could probably be the most simple, humane, merciful and selfless people she could find. She might even be enlightened what the proximate cause is of the decrepit, filthy, infernal and squalid little hells we call jails,” he added. “If contrived or feigned, then this is comical. If real, then by all means, let a doctor see her and give her immediate, necessary and appropriate medical care. But the rich and famous are not the only children of a greater god,” Olalia said of Reyes’ panic attack. Benny Barid – Pale and very thin, he is suffering from chronic asthma. After suffering from a series of asthma attacks, he has been in and out at the NBP Infirmary. He cannot stand up by himself and needs a wheelchair for mobility. Fellow political prisoners support his medical needs. His prolonged stay at the NBP Hospital makes him more vulnerable to various diseases. Rolando Pañamogan – In 2009, he was admitted twice, first at the NBP Hospital, and second at the Philippine General Hospital. He was diagnosed with thyroid dysfunction and pneumonia related to tuberculosis. He recovered from the said illnesses but was later diagnosed with hepatitis B and diabetes. His diabetes and asthma need more than first aid. The Alegre couple, Jesus and Moreta – both in their late 60s, are languishing in jail for almost 10 years now. The elderly couple’s imprisonment has made them sickly. Both are suffering from hypertension and arthritis. Moreta has a weak heart and moves very slowly. Their imprisonment has separated them from each other — Jesus and Selman are at the NBP Maximum Security Compound in Muntinlupa, while Moreta is at the Correctional Institute for Women in Mandaluyong City. Gerardo dela Peña, 75 – Despite his age, he was sentenced to lifetime imprisonment last year due to trumped-up charges of murder. After his arrest on March 2013, it took the court only 10 months to pin down Dela Peña. At his old age, his eyes are blurring. He also has poor hearing. He is detained at the New Bilibid Prisons (NBP) Reception and Diagnostic Center, awaiting transfer to the NBP Maximum Security Compound. Ramon Argente – had a triple heart bypass operation in 2013. 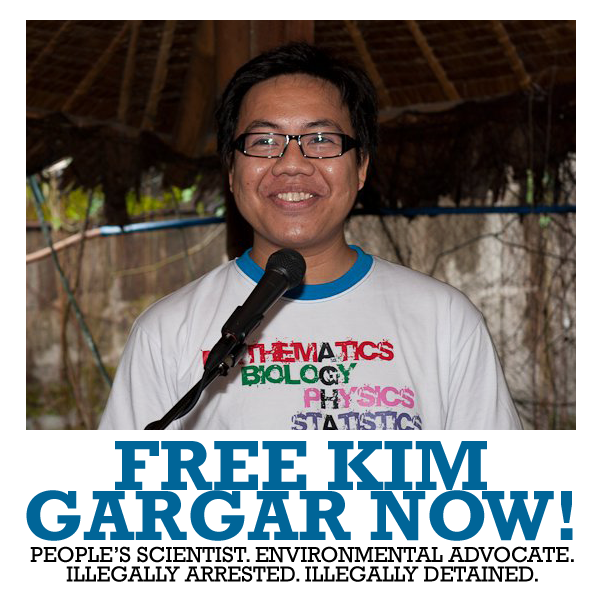 After the surgery, he was brought back to detention at the PNP Custodial Center. He remains in fragile condition, as he still experiences difficulty in breathing and chest pains. Argente was undergoing medication when he was arrested. His health worsened while detained at the Camarines Norte Provincial Jail. It took six months before his motion for hospitalization was granted. Rights group SELDA (Samahan ng Ex-Detainees Laban sa Detensyon at Aresto), with relatives and friends of political prisoners held a caravan today from the Quezon City Memorial Circle to Camp Bagong Diwa in Taguig City in an urgent call to free elderly and ailing political prisoners on humanitarian grounds. “They shouldn’t be in jail in the first place, but they are jailed on trumped up charges. They suffered from torture and other violations of their rights as prisoners. They are denied freedom, and some die of sickness in the long course of their detention. The ailing and the elderly should be released soon while they are still alive,” said Jigs Clamor, SELDA national coordinator. According to SELDA, political prisoners, like ordinary inmates, suffer from subhuman prison conditions. “They are cramped in congested cells. They receive poor and inadequate health services. Their prolonged detention makes them vulnerable to more serious health conditions,” said Clamor. Clamor cited the case of Alison Alcantara, who went into a coma on September 4 at the New Bilibid Prisons after suffering from complications to diabetes. “But he was transferred to the Philippine General Hospital only after three days,” said Clamor, “his life could have been saved if there was sufficient medical care right from the beginning.” Alcantara died on September 18. As of August 2013, there are 449 political prisoners detained in various detention centers all over the country, 48 of them are ailing while 28 are elderly (60 years old and above). “The low quality and insufficient medical care that the government provides endangers the lives of political prisoners. The P50 a day food budget is very little. Their condition is no different from the lives of people outside prison. Jails and detention centers are barely habitable, unsafe and hazardous to the health and general well-being of prisoners,” Clamor explained. From Quezon City Memorial Circle, the caravan stopped at the gates of Camp Crame, where four political prisoners, namely Renante Gamara, Eduardo Serrano, Eduardo Sarmiento and Ramon Argente are detained. Gamara, Serrano, and Sarmiento are peace consultants of the National Democratic Front of the Philippines who are covered by the Joint Agreement on Safety and Immunity guarantees of the GPH and the NDFP. Meanwhile, Ramon Argente, a peasant organizer from Bicol, was recently transferred at the PNP Custodial Center in Camp Crame after undergoing triple by-pass surgery. He was previously detained at the Camarines Norte Provincial Jail. “Even if his surgery is successful, he will recover better outside prison. Why endanger his life again after surviving this ordeal? The least the government can do with his condition is to free him,” Clamor said. Alongside the caravan, artists and church workers visited the four political prisoners at Camp Crame as part of the “KA-KAUSA” solidarity visits to political prisoners in the Philippines. The group is composed of writers and visual artists, including cultural worker and former political prisoner Ericson Acosta. Poetry and songs were shared in a brief cultural program. The visitors also brought donated art materials for the political prisoners. The caravan proceeded to the Office of the Presidential Adviser on the Peace Process (OPAPP), to call for the resumption of the peace talks between the NDFP and the GPH. According to SELDA, the continued detention of NDF peace consultants and other political prisoners is a hindrance to the resumption to the talks. Political prisoner Alison Alcantara, 55, died of multiple organ failure, on Sept. 18 after he fell into coma and was rushed to the Philippine General Hospital from the New Bilibid Prison on Sept. 9. “Alcantara’s death reflects the difference between how the Aquino government treats the political prisoners –those who were imprisoned because they sided with the oppressed and exploited poor Filipinos—and those who plundered the nation’s coffers and enriched themselves using the entire government bureaucracy,” said Karapatan secretary general Cristina Palabay. Alcantara was diagnosed with severe sepsis due to pneumonia and diabetes type 2. On Sept. 4, Alcantara was rushed to the emergency room of the New Bilibid Prisons hospital when his blood sugar and blood pressure rose. He had been going in and out of the New Bilibid Prisons hospital due to uncontrolled diabetes with complications of hypertension, and an infected wound on the left foot. The persistent request of the Alcantara’s family and the Samahan ng Ex-detainees laban sa Detensyon at Aresto (SELDA) to immediately transfer Alcantara to PGH, and to eventually release him on humanitarian grounds, was rejected by the Bureau of Corrections. BuCor insisted they can manage Alcantara’s illness. “We can’t help but compare the ‘special’ care and kindness Malacañang extended to Janet Napoles and with how it treats the political prisoners. While Napoles has her own doctor who regularly monitors her blood pressure and sugar level, the 48 political prisoners who have long been suffering from illnesses receive inadequate and insufficient medical attention, leading to such cases as Alcantara,” Palabay said. As of August 30, 2013, Karapatan has documented 449 political prisoners in the country today; 154 of them were arrested and detained under the Aquino government, mostly on trumped up criminal charges. Also today, the political prisoners, held various forms of protest actions in various jails in solidarity with the Filipino people’s call to abolish the pork barrel system, and to rechannel public funds to services that can be accessed directly by the most needy sectors of society. 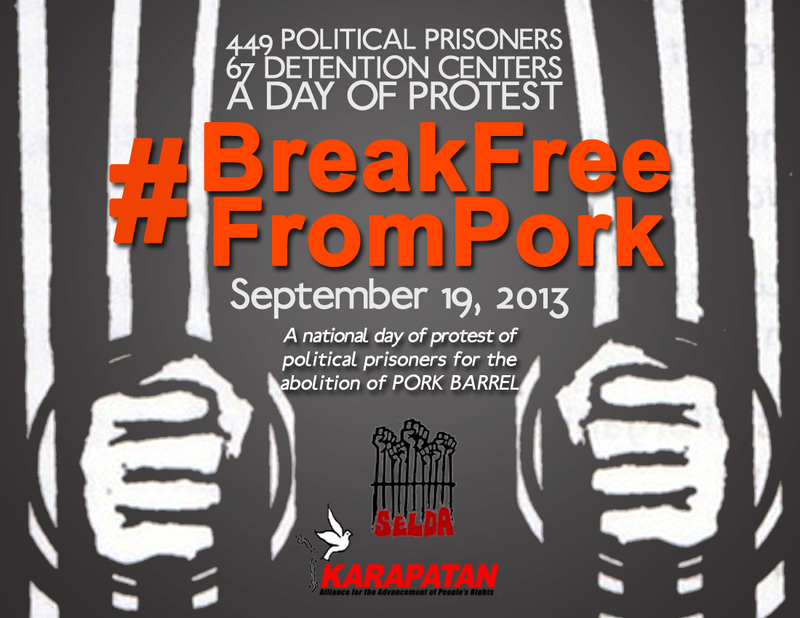 Political prisoners’ action ranged from noise barrage, fasting, wearing of armbands with “no to pork barrel” slogan, distribution of leaflets among inmates. Detained NDFP consultants at Camp Crame launched VIP (Victims of Injustice and Plunder) Prisoners’ Protest PORKsong Revival Fest and PORKsters vs. Corruption Contest to give venue to the creativity of political prisoners to express their experiences and aspirations for freedom from detention and, for freedom of the Filipino people from exploitation and oppression. In support of the detainees’ action, Karapatan and Selda put up a booth at Plaza Miranda where people may sign the petition to abolish pork, and to highlight the plight of the 449 political prisoners all over the country. MANILA, Philippines — A human rights organization urged government to release on humanitarian grounds a political prisoner fighting for his life at the Philippine General Hospital. The Samahan ng mga Ex-detainees Laban sa Detensyon at Aresto or SELDA said Alison Alcantara, 55, was transferred to the PGH from the New Blilibid Prison after he went into a coma on September 9. Diagnosed with severe sepsis due to pneumonia and diabetes type 2, Alcantara is now breathing through a respirator. “We knew this would happen to Alcantara and all the political prisoners who are in the same situation as his. The harsh condition inside the jail definitely worsens the ailments of the detainees,” Angie Ipong, SELDA secretary general, said. Ipong said she could not help comparing Alcantara’s condition to that of Janet Lim-Napoles, who allegedly engineered the P10-billion pork barrel scam queen, who is detained at a police training facility in Laguna. “It is enraging to see that multi-billion plunderer Napoles, also a diabetic, enjoys the privilege of full medical attention, nutritious and proper diet and, spacious bungalow while political prisoners like Alcantara hangs on to his life as his family and friends tries to find money to buy much needed medicine,” she said. Alcantara was admitted to the PGH as a charity patient, “but his family still needs money to buy his medicines, pay for some laboratory fees and for the use of respirator. The respirator alone costs P2,400 for every 24-hour use,” Ipong said. Alcantara’s fellow political prisoners at the NBP had requested his transfer to PGH as early as September 3 but they were refused by jail authorities. He had been suffering from uncontrolled diabetes complicated by hypertension and an infected wound on his left foot, and had been in and out of the NBP hospital for his condition. He was last admitted there on September 4, when his blood sugar and blood pressure rose. Alcantara is one of the 48 ailing political prisoners that SELDA said need proper and adequate medical attention. He was detained at the Cebu Provincial Detention and Rehabilitation Center in 1996 for charges of murder, double frustrated murder and illegal possession of firearms. He was released in 2004 with two others as part of the confidence-building measures for peace talks between the government and National Democratic Front. However, he was rearrested on November 5, 2010 on what SELDA calls the same trumped up charges and transferred to the NBP maximum security compound March 10 this year. 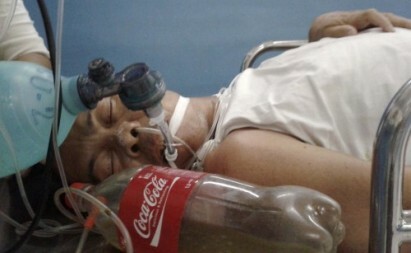 Other political prisoners who are with serious health condition are: Alvin Lauglaug who is paralyzed from the waist down because of a brain injury prior to his arrest in Poblacion Lianga, Surigao Sur on May 2, 2011. Lauglaug is detained at the Surigao City District Jail. 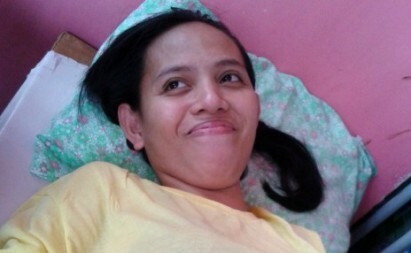 Hors d’ Combat Vanessa de los Reyes, a 28-year old woman paralyzed from the neck down after she was seriously wounded in a 2011 encounter between the military and New People’s Army in Davao Oriental. Charged with four counts of frustrated murder, she is currently under hospital arrest and heavily guarded by members of the Philippine Army.